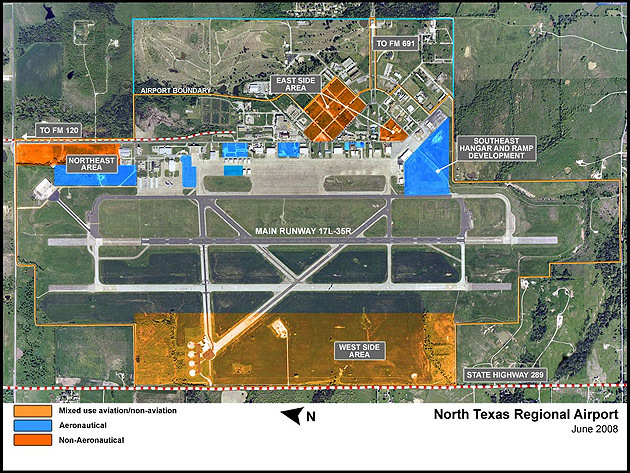 North Texas Regional Airport has approximately 325 acres of shovel-ready property directly adjacent to SH 289 making it an ideal location for both aviation and non-aviation development. There is not currently any available Hangars, however there is an abundance of available ground space to build your own custom hangar. 10,880 sq. ft. of office space located at 10,000 Grayson Drive. 1,296 sq. ft. of shop and office space located at 5600 Airport Drive. The potential for build to suit programs exist and depend on individual business requirements, financials and timing.